Handling tips: Using small amounts of citrus-based solvents, lighter fluid, latex paint removers, turpentine or mineral spirits as a lubricant on the surface of the clay will help to attain a smooth surface. 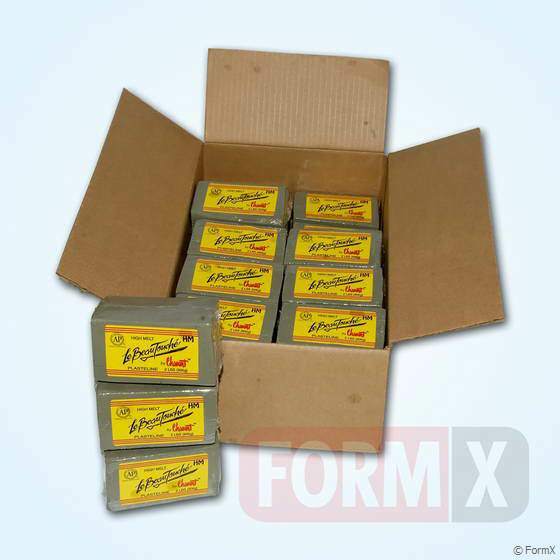 when heated over 300 degrees F.
Firmness: Clayette is available in soft, medium and hard. On a scale of 1-10 the soft would be a 2, the medium a 4 and the hard would be a 6 (see our catalog). 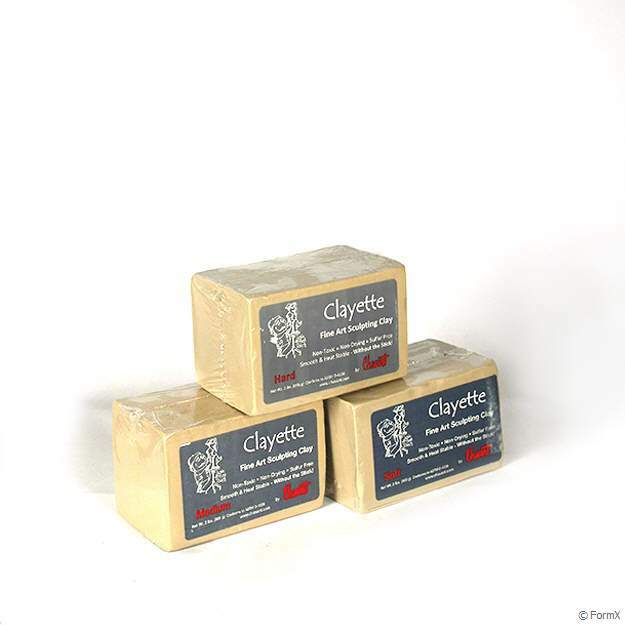 Working Temp: Clayette is generally used at room temperature but can be warmed to soften.